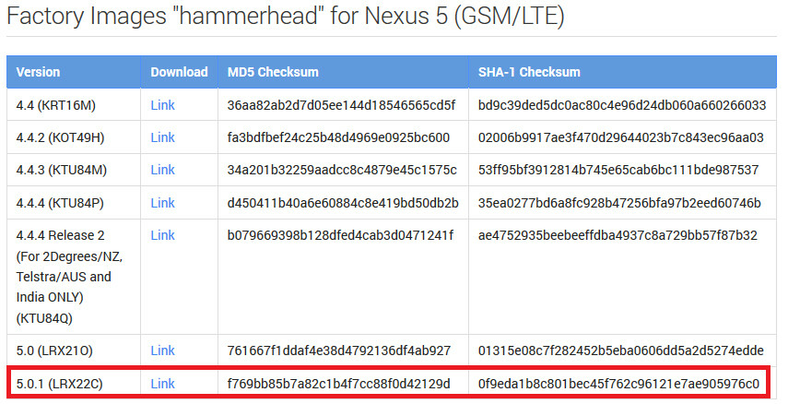 Google has announced that it has released the Android 5.0.1 Factory Images for the Nexus 5. The Factory Images can be a life saver if you've screwed up while trying to flash a custom ROM, and you've bricked your phone. 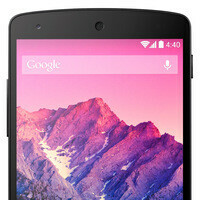 Or suppose you've rooted your Nexus 5 and an OTA update is coming. If you don't want to miss the update, you can quickly use the Factory Images to return your handset to the latest factory settings. The build for the Android 5.0.1 update is LRX22C. All you need to do is follow the directions on the screen. Keep in mind that flashing a new system image will wipe all of the data from your phone. Before you tap your heels three times and say that there is no place like home, make sure that you've made a backup of any personal information that you don't want to discover missing. In the event that you need to yank the cord on the parachute that will gently land you to safely, merely click on the sourcelink below! Anyone has any impressions about the update? Google, where is Lollipop for my original 3G Nexus 7? In other news ... huawei users stil wait for kitkat update ..China !!! going to flash now . update show despite lot of ppl don't have bug google is wworking hard . wel done google wellllllllllllllllllllllll done . enjoy every part of vanila android . Now just need my Shield update to 5.0.1, Nvidia seemed to beat everyone outside of Nexus updating to L5. Was faster then my N7(13) tto get it, wtf Nvidia, do it again!!! Running 5.0.1 on nexus 4, quite a lot of stuff got fixed, but there's still a few ups and downs with the video playback now and then. I also have 5.0.1 already installed in my Nexus 4. I have noticed anything new or any improvement but I did not have any problems at all with 5.0. In fact 5.0 improved my battery life drastically (like to double the time) from ver 4.4.4.